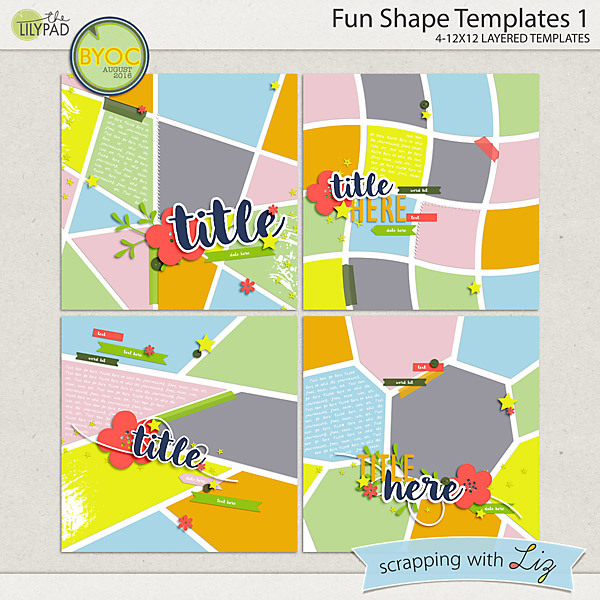 It's the first Friday of the month, so Build Your Own Collab is here! 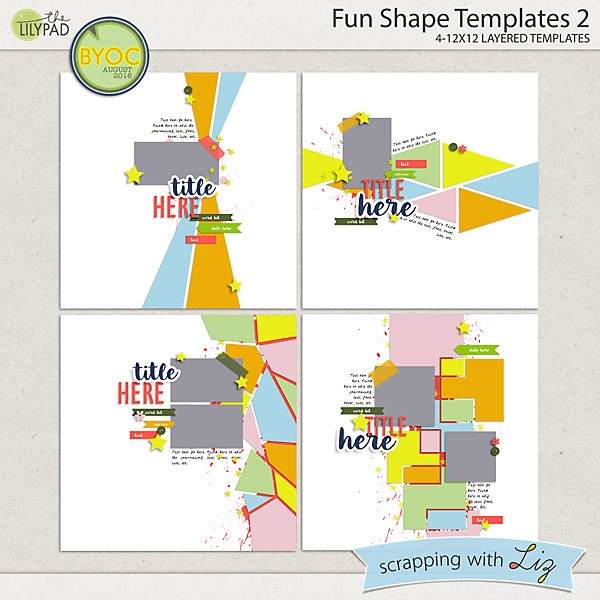 Liz has two template sets with lots of fun shapes: trapezoids, and triangles, wavy squares, and overlapping rectangles. 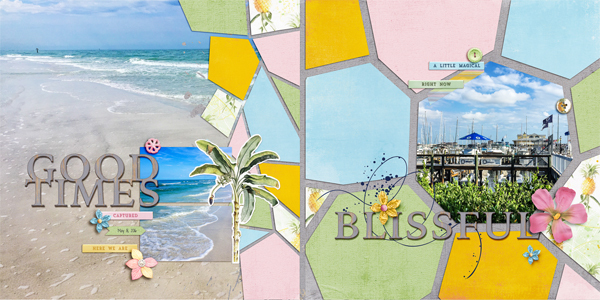 With full page and white space designs, there is something for everyone. 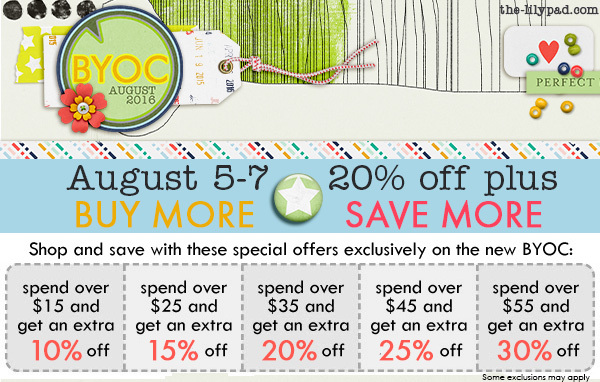 With the Buy More - Save More promotion, these (and all BYOC products) have a minimum 20% discount through Sunday August 7, 2016. 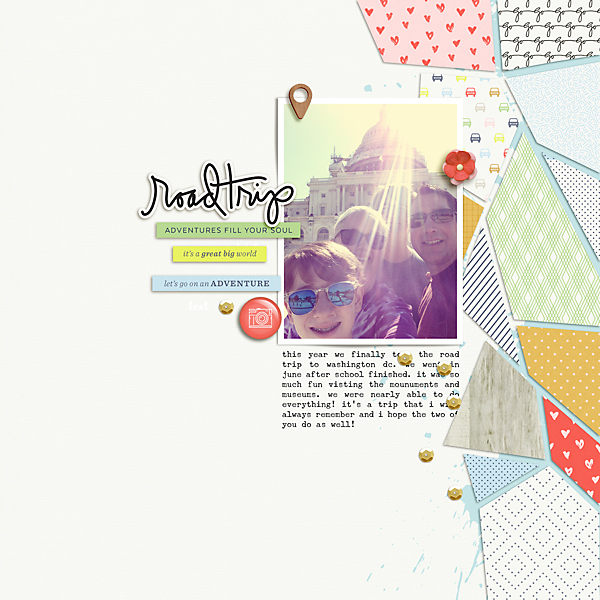 And Christine scrapped an adorable page too. 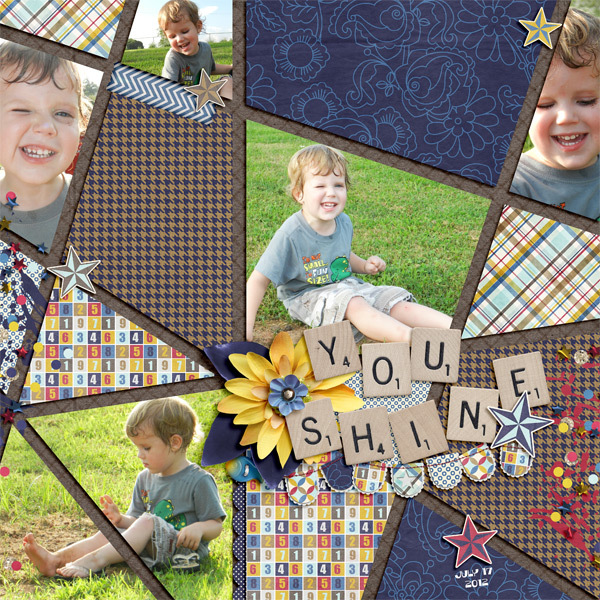 This is a really fun way to collect several "just for fun" photos! 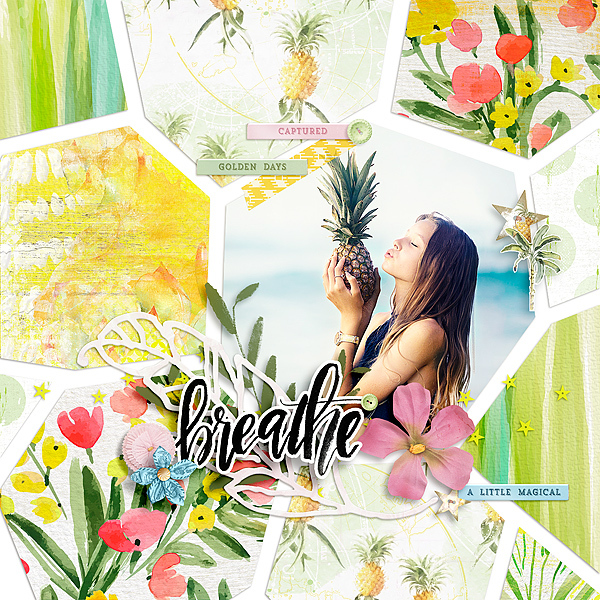 Here's a bright and beautiful layout from Polly Sarah. This page was made by Polly Celeste. I love the photo effect and those papers. 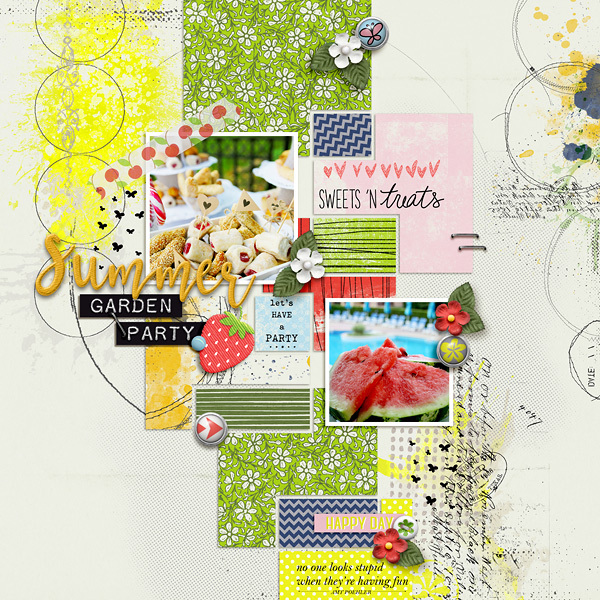 Polly Ellen made this gorgeous page about summer. 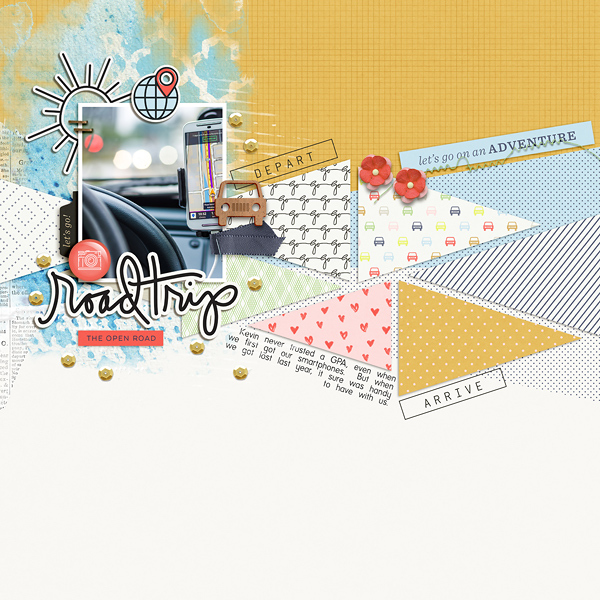 Another gorgeous page by Polly Ellen showcasing an awesome road trip photo. Be sure to check out the August BYOC. Lots of gorgeous stuff in there and the more you buy the more you save!